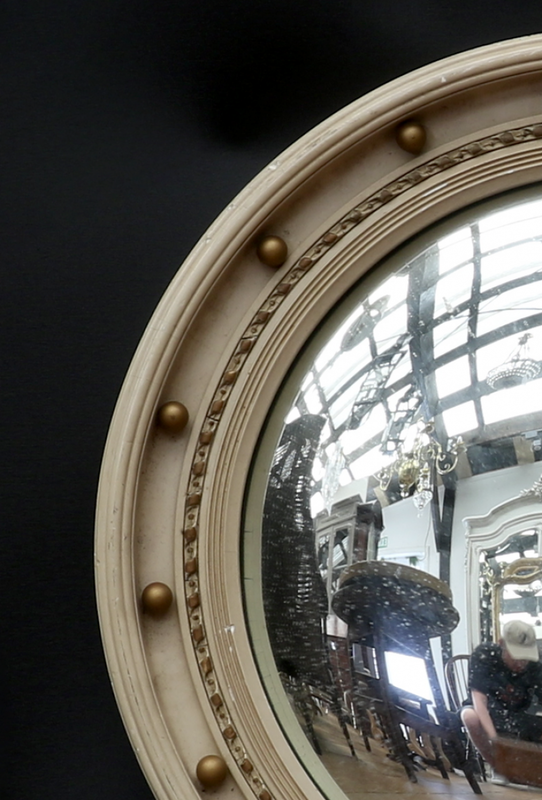 An attractive Regency convex mirror in a gold and cream finish; most of these mirrors are plain gold. 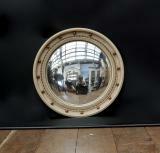 A good quality convex mercury mirror giving excellent wide-angle reflection. 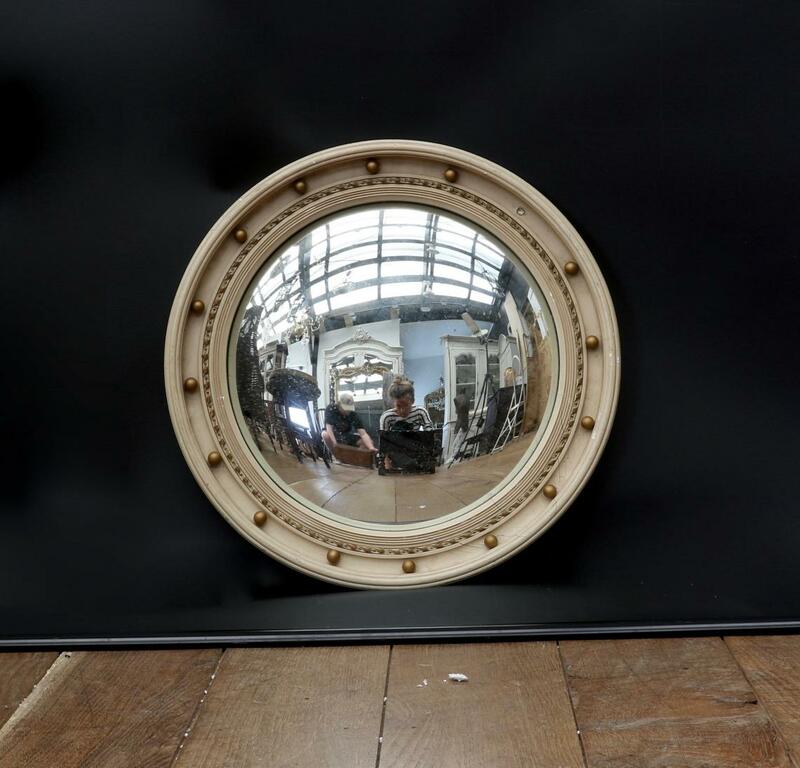 If you are interested in this piece or would like more details please call us on +64 9 529 1660 or email info@js.co.nz quoting #107-62.